The Fulbright Program including the Fulbright-Hays Program is a program of grants for international educational exchange for scholars, educators, graduate students and professionals, founded by United States Senator J. William Fulbright. Fulbright grants for students, teachers, college faculty and professionals are sponsored by the Bureau of Educational and Cultural Affairs of the United States Department of State, governments in other countries, and the private sector. Fulbright-Hays grants for graduate students, teachers, and faculty are sponsored by the United States Department of Education. The programs were established to increase mutual understanding between the people of the United States and other countries through the exchange of persons, knowledge, and skills. Fulbright alumni around the world recognize the importance of continued involvement in this program, with the purpose of increasing mutual understanding among the people of the US and the people of the world. Given the significant role of the United States both at the time when the program was established in the middle of the twentieth century, and continuing into the twenty-first century, this is not only a positive step and valuable goal, it may prove necessary to the successful establishment of a world of peace and prosperity for all. 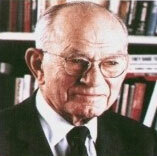 J. William Fulbright was a member of the United States Senate representing Arkansas. He was a Southern Democrat and a staunch multilateralist. Fulbright supported racial segregation and the creation of the United Nations, and opposed the House Un-American Activities Committee. He is especially remembered for his efforts to establish the international exchange program, which thereafter bore his name, the Fulbright Fellowships. In 1945, Fulbright introduced a bill in the United States Congress that called for the use of proceeds from the sale of surplus war property to fund the "promotion of international good will through the exchange of students in the fields of education, culture, and science." On August 1, 1946, President Harry S. Truman signed the bill into law, and Congress created the Fulbright Program. The Fulbright program was established to increase mutual understanding between the peoples of the United States and other countries through the exchange of persons, knowledge, and skills. It is considered one of the most prestigious award programs and it operates in 144 countries. The Fulbright Program provides funds for students, scholars, and professionals to undertake graduate study, advanced research, university teaching, and teaching in elementary and secondary schools abroad. The initial reach of this program had been primarily European countries, and now the program operates worldwide. The program is administered by 50 binational Fulbright commissions, US Embassies, and cooperating organizations. Its first participants went overseas in 1948, funded by war reparations and foreign loan repayments to the United States. Today, it is funded by Congressional appropriations and funding provided by partner governments. The program also receives important in-kind and financial support from academic institutions, foundations, and the private sector. In the 60 years since it was created, more than 250,000 individuals have received Fulbright grants—more than 100,000 Americans and more than 150,000 citizens of other countries. These individuals have established more than 150 national or sub-national alumni organizations. Fulbright grants are administered by several organizations. Grants for recent B.A. graduates, graduate students and younger professionals are administered by the Institute of International Education. These grants are available for U.S. citizens with a bachelor's degree to study in other countries, and for citizens of other countries to do graduate study in the U.S. Grants for faculty and professionals, as well as grants for U.S. institutions wishing to host scholars from other countries, are administered by the Council for International Exchange of Scholars. Grants for K-12 teachers and administrators are administered by the United States Department of Agriculture. Fulbright-Hays grants, including grants for doctoral and postdoctoral research, summer seminars abroad, and group projects abroad, are sponsored by the United States Department of Education. A Fulbright Commission is a foundation established abroad to co-sponsor and administer Fulbright grants locally. Unlike countries where Fulbright grants are paid by the U.S. Department of State, Commissions pay some or all of the scholarships. The J. William Fulbright Prize for International Understanding established in 1993 is awarded by the Fulbright Association to recognize individuals who have made extraordinary contributions toward bringing peoples, cultures, or nations to greater understanding of others. The program makes a number of awards at undergraduate, postgraduate, post-doctoral and Fellowship levels. Fulbrights are prestigious, career-enhancing awards. They also confer special status on winners during their year of foreign study, as outstanding, officially-recognized representatives of their country. Fulbright alumni around the world have recognized the importance of continued involvement and action in the name of increasing mutual understanding among the people of the U.S. and the people of the world. Today, there are organized Fulbright alumni associations in 71 countries around the world. The Fulbright Program has 36 Nobel Prize Winners among its alumni, more than any other scholarship program of its kind. The following alumni have been acknowledged by the Fulbright Association as being particularly notable. ↑ 1.0 1.1 Program History Retrieved January 13, 2008. ↑ About Fulbright Retrieved January 13, 2008. ↑ 3.0 3.1 Harry Jeffrey, Legislative Origins of the Fulbright Program Annals of the American Academy of Political and Social Science. Retrieved January 13, 2008. ↑ Fulbright Association. 2007. Fulbright Alumni Organizations Worldwide Retrieved January 13, 2008. ↑ Fulbright Association. 2007. Fulbright Association Retrieved January 13, 2008. ↑ The Fulbright Alumni Community. Fulbright Alumni Craig R. Barrett, John Hope Franklin, and Shirley Strum Kenny Receive Lifetime Achievement Medals Retrieved January 13, 2008. Johnson, Haynes and Bernard Gwertzmann. Fulbright: The Dissenter. Doubleday, 1968. Fulbright Program Homepage A page with links to all the grants and fellowships offered. Fulbright Program For U.S. Students Website with information for U.S. Students wishing to study abroad. Fulbright Program For Foreign Students Website with information for Non-U.S. Students wishing to study in the United States. This page was last modified on 15 May 2017, at 21:09.